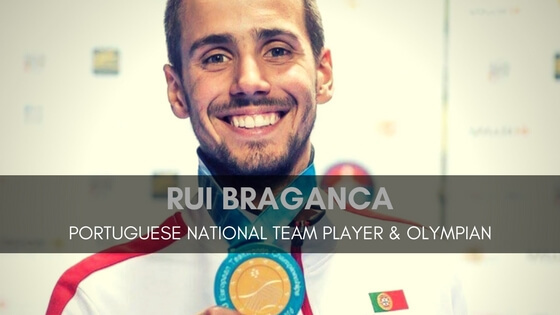 This week it is an Honor to talk to Rui Braganca, Olympian and Portuguese National Team Player. We chat about how Rui is ranked 10th in the Olympic Ranking, and 7th in the world both for – 58kg and how it must be tough now to stay in the top 10 – with all the Grand Prix and grand slams etc it must mean lots of travelling! Then we discuss world and Olympic No.1 Tae Hun Kim from Korea and how he is lots of points ahead of everyone else. I discover Rui fought Tae Hun Kim back in 2015. Rui has also been world No.1 and we chat about when this was and how that’s such a great achievement. Anyone who knows Rui knows he has the biggest smile of any Taekwondo player, always happy and cheerful, Rui tells us about why he’s a very positive person and how he thinks this is the reason why he is so successful. We then move onto his training structure, he trains every day. Next, we chat about how most national team players travel with a Physio, Dr, video analysis guys etc and he tells us how it is in Portugal. We look back at Rui’s life growing up in Portugal, and at what age he decided to try Taekwondo. Rui’s main profession is a medical Dr and somehow he still competes against full time paid athletes! I ask him how he finds this extraordinary feat possible? We chat about how easy it was to balance studying and competing? We discuss the possibility of becoming a paid athlete in Portugal, would he, or has he considered it? When we’ve met in the past there are normally two more people with Rui, Nuno and Hugo he tells us when he first meets up with Nuno Costa and Hugo Serrao. Rui participated in one Olympics already, Rio 2016. We discuss how Rio was, the experience of the Olympics, and which parts he enjoyed the most? Tokyo 2020 must be on his sights? What does he personally feel it will take for him to become the Olympic champion at Taekwondo in -58kg in 2020. Looking back at Rui’s achievements some of these include gold at the European games in Baku 2015, silver at the worlds championships (2011) and also gold at the European championships (2014). We ask Rui where is his next competition after this one? And if the Europeans are his main comp this year or is it the Grand Prix which gives more ranking points? Lastly, we chat about how our listeners can find out more about Rui Braganca and possibly get in touch with him. See the links below for more details.